Additional discounts for annual contract. Pros: I have worked with Pinpointe for over 6 years and they have always been super responsive to our needs. The UI is logical and easy to use with extraordinary reporting and statistics. Their support team is extremely helpful and knowledgeable with responses generally received within an hour. The deliverability is also better than any other system we have tested and they include great testing tools allowing for multi-variant/split testing. My favorite tool is the inbox preview which shows you 25+ inboxes and includes a pre-flight spam checker. Currently I am using their Enterprise edition which allows me to create dedicated sub accounts with an administrator account and additional configuration options. I have 3 of my clients on the platform and all of them are very impressed with the delivery and reporting they are receiving. Cons: They don't have a price point that is competitive for small senders, nor do they have a free account. Their target is higher volume and Enterprise The Campaign Builder is very easy to use and intuitive, however I would like to see additional templates added or more options for layouts within these templates. Pros: Background: I'm a freelance developer who does a lot of web development for companies, usually working with marketing. As such, I get a lot of requests about tools they can use for email marketing, SEO, etc. Pinpointe is my number one recommendation for email marketing. - Support is helpful. You usually get a reply within an hour and the support staff have the ability to escalate issues quickly to the development team. I've never run into an issue that they couldn't help me workaround until officially fixed. Cons: The biggest drawbacks I've heard from my clients is that Pinpointe doesn't have a price point for small senders (eg sending only a few emails a month), nor a free account for VERY small senders. They are great for large volume and enterprise senders though. 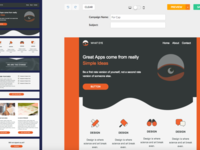 Also, they offer a WYSIWYG and a drag-and-drop campaign builder. The drag-and-drop builder is fun to use and is really true to what you see on the screen, but it could use some additional templates. Comments: I am a marketing consultant that primarily services B2B clients in the mid-market space. Many of my clients require email marketing as a part of their marketing strategy' from campaign planning, to creation, to tracking and reporting. For over 5 years I have recommended and used Pinpointe's robust email marketing software solution due to its advanced features and easy-to-use platform. Pinpointe has made it easy for both me and my clients to effectively manage all aspects of email marketing. Overall, Pinpointe is very easy to use. One of the things I really love about the platform is it's built-in email designer. You can either use one of Pinpointe's mobile responsive email templates (they have over 1000) or easily create your own. 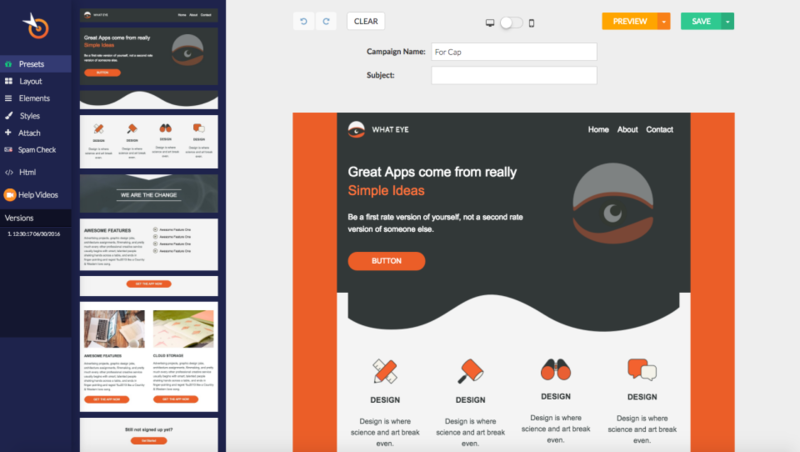 I often edit directly in their WYSIWYG (what you see is what you get) editor and then check my email design with their preview tool ' which shows you how your email will look in 50+ email clients. The nice thing is that if your email doesn't view properly in an email client, Pinpointe provides you with recommendations to fix it. Pinpointe's customer service is also TOP NOTCH!!! Pinpointe is one of the most responsive ESP's and their team is always VERY HELPFUL and professional. I have also been very impressed with Pinpointe's features, which are updated as technology evolves. Advanced automation, A/b (and beyond) testing, SPAM score checker, lead capture forms, and superior reporting and tracking are just a few (but I could go on and on). Pinpointe does have a few cons. I am a bit frustrated with one aspect of their design editor. I often times use custom colors in an email design that match my clients' brand. Unfortunately Pinpointe's design editor doesn't store recently used colors, so I have to continually put the hex codes in. Pinpointe also updates their features and functionality a lot. This is a good thing, but I wish they did a better job of letting me know. Overall, Pinpointe not only provides me (and my clients) with all the email marketing tools I need to easily create, send and evaluate email marketing campaigns, but they're also very reliable and have never failed me in five years plus I have used them. Campaigns go out when they are scheduled and I can always count on accurate reporting stats. We have been using Pinpointe for our email marketing efforts since 2011. 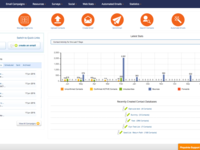 Pros: Pinpointe is a complete service with practical tools and options, analytics, and comprehensive functionality. We've had many different needs over the past six years and Pinpointe has been able to address them all. The support is a great feature too as the Pinpointe team is responsive and helpful. Cons: There is really not anything I would consider as a shortfall with Pinpointe except that sometimes the WYSIWYG editor is not as friendly as it could be. I think this is the case across the board and not anything unique to Pinpointe. Overall: We use this software constantly to promote our different educational offerings as well as to reach our client base with unique messaging. It is easy to train someone on how to use the platform and the service is very reliable. Pinpointe offers amazing tools that make it easy for me to send emails to my customers. Pros: Pinpointe has ready-made templates that I can customize, so creating an email takes me seconds not hours. The automation features save me a ton of time. I can create emails ahead of time and schedule them to deliver or I can automate emails based on what my subscribers do. When subscribers click on links in my emails, for example, I let that action trigger a follow-up email. Pinpointe has an image library so I don't have to spend time finding an image, saving it and sizing it. I just pick an image and add it to my message. I love, love the testing feature. I was a little hesitant to use it at first. I wasn't sure how much of a difference it would make - but it did! Pinpointe even conducts the test for me and sends the winning campaign to my subscribers. I don't have to sign in, review the results, and send the email - Pinpointe does it for me. The metrics are easy to understand. I've used other platforms that spit out reports that mean nothing to me, but Pinpointe's are easy to grasp. I can look at big-picture stats or I can get more specific if I want. Pros: I have used the Pinpointe Product for over a year and I have have a great experience and wonderful results. An error on my part and a change to my account had me ready to cancel. When i explained my problem to (cust rep). He not only straitened out my problem, but showed me how to get better results from my campaigns. He not only called back promptly, but suggested solutions I had not considered. I just want to say thank you to rep and Pinpointe. Cons: The only change I would make is to have a speed control on sending out email campaigns. I find the slower they are sent during a day, the better response. Overall: I use it for sales of my product and advertising my loan programs to realtors all over the state of Florida. Pros: The software is intuitive and is easy for all of our staff to use. My favorite part about the software is being able to immediately see who has been rejected from list uploads and why (previous hard bounces, known spam, unsubscribes, etc.). This was not something that we were seeing on our former email service provider. Cons: There is very little communication between PinPointe and its customers. We don't get emails regarding new features when they come out; we only know about them once they've been implemented into the system or if we manually go online and look for the information on their help site. We also dislike the fact that customer service is via email only. Sometimes, it's much easier to explain a challenge to someone over the phone rather than email, where it can take a few days of back and forth to respond. Overall: Great quality product at a very reasonable cost. Overall, Great. The Team is very responsive, and patient with addressing issues as they arise. Pros: I like the dashboards that give some reasonably good pictures of how good or bad your campaigns are doing. I also like the fact that we are able to set multiple users and assign desired access to lists, etc. in the system. There have been a few glitches here and there, however, the team has been very responsive. They have made appropriate system updates when the need arises. The system updates have been pretty transparent. That is always a plus with a software organization: To be able to make transparent system changes without interrupting the flow of your User base. Cons: I like the functionality of being able to set email campaigns to await approval. It would be great, if as an administrator, I could get an automatic notification that an approval is waiting. I am not aware that an email is awaiting approval until logging into the system. Easy to use. 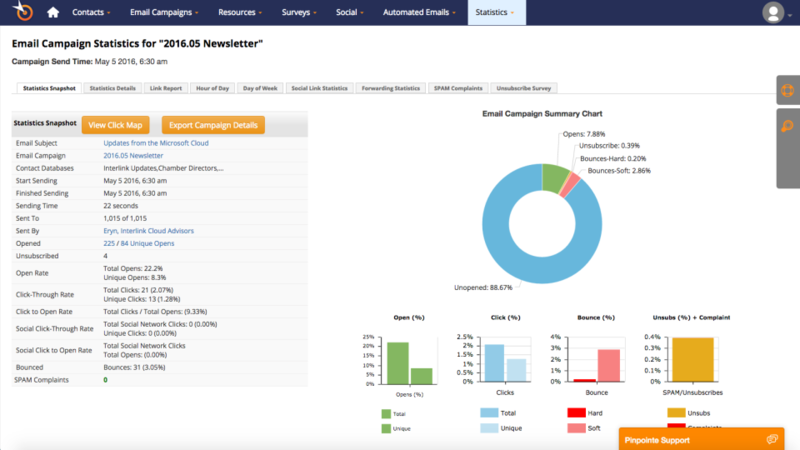 Fantastic for tracking email campaigns! Pros: The best features for me personally are the analytics and reporting tools of how to get statistics on the email campaign. To find out how many bounces, unsubscribes, opens, and clicks is an added plus for me to use for following up with a contact. The ability to extract the metrics to an excel file is very helpful to upper management. Cons: Depending on the amount, when I am in the middle of uploading a list of contacts I get bumped out and have to submit a request to increase my dataset. Don't look for another email service. Cons: Pinpointe doesn't have a price point for small senders or a free account. Pinpointe targets higher volume senders and Enterprises. Pros: My company has used Pinpointe for a long time. We are very satisfied with its performance and value. The software is pretty easy to use. You can set and forget your campaigns - it is that easy! Overall: We use this to communicate with our clients so it is mission critical to us. We have lots of clients depending on keeping them informed about events in educational law. Pinpointe has a great builder, and the the account manager is fun to work with. Pros: The Builder and their constant work to improve the overall program. We use them because they also have a wysiwyg available to be able to work with code. Cons: They system can be glitchy at times as they update their program, the customer service is not on a chat or available for phone, so you have to wait 2-3 hours before you get a response most of the time. Their list and unsubscribe system is still being improved. Have to find of work arounds to get some other things done. Compared to other email services PinPointe was bar for the better one. Pros: 1. I like the amount of detail reporting. 2. I like when importing new contacts that they are checked against some PinPointe master lists to ensure the best deliverability. Cons: The reporting, when exporting Summary Statics there are no totals for all the exported lines. 3. I have to use a RandomId to email to only a portion of my list. Pros: Today's customer support is better than before...in years past it was like a fetch game..it was so refreshing to be called back and when I called back him answered and helped me directly. Cons: It's always tough to call and cancel with a long term vendor and The support staff helped me look on how we could stay since our use level had changed and the choice was to move to only what we needed and to stay with pinpointe. Overall: Targeted email list of editors we have known for years and this helps us stay on top of any changes. In my third year just sending simple emails and still having trouble with some of the elements. Pros: I have a hard time coming up with something because I always seem to encounter some kind of difficulty. I just don't think it's newbie user friendly. Hello - I hope we can resolve your support experience. We offer a free live 1 on 1 training session for all customers - drop us a note at support. Also live chat is available during business hours within Pinpointe. A support agent will call if the issue is complicated. Cheers! Pros: The best in class email editor, just incredible in flexibility. 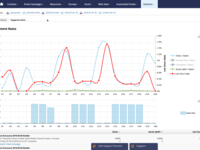 Extremely friendly dashboard, great reporting, very competitive pricing. And best in case support. Cons: They are updating features so fast that sometimes documentation falls behind. I'd like to see some effort put into creating a manual or series of video tutorials. Overall: Went from sending out our newsletter once every 3 months, due to the complexity of iContact, to sending it every month. 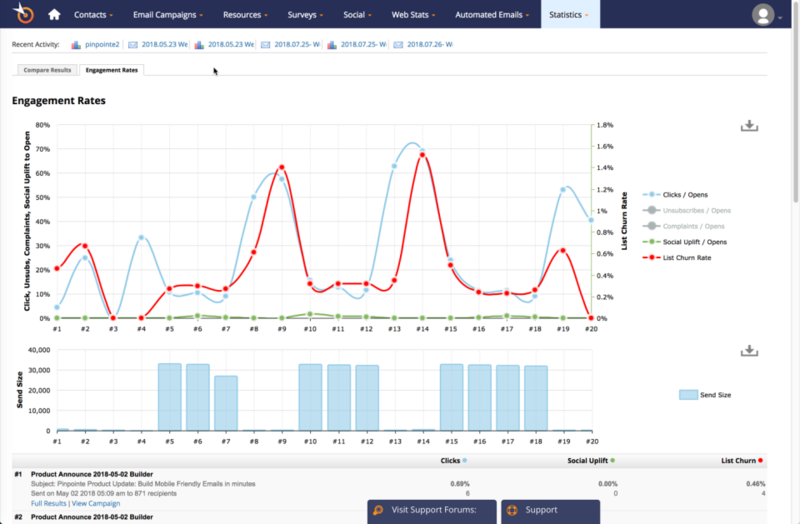 Excellent tool for email campaigns, tracking stats, tracking event registrations. Very comprehensive. Lots of flexibility and details. Cons: Need to utilize in more of daily marketing initiatives. Overall: Easy to track email campaigns stickiness. Great tool for registration tracking. Downloadable statistically information. Pros: The user interface is simple yet flexible -- making it easy for an email novice to upload a list and send an email within minutes. For advanced email users, the system has the sophistication you need to handle most any type of email. The Pinpointe team has been great to work with and they respond to email inquires promptly -- many times within the hour. Cons: Limited access control on a per user basis -- but I hear they are working on this feature. The team has been very receptive to new feature requests. Simple and reliable email marketing for our school. 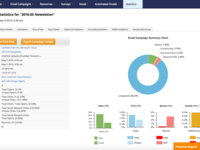 Pros: The reporting provided is awesome to check out the effectiveness of your email campaign. Creating different lists of contacts is easy too. Cons: It would be nice to have more options in terms of conditional sending... instead of breaking down one long list into several lists, create one list and have a second column dictate the action taken. Pros: It's easy to broadcast to different segments and set up specialized lists. Tough spam checking. Detailed reporting. Cons: No multiple-list selection for subscription forms. Some subscription and auto-respond forms unresponsive with Joomla websites. Overall: Consistent performance and a professional attitude. Pros: Email inbox preview, drag and crop creator, A/B testing tools. Email deliverability is very good and their IP addresses have a good sender reputation. Cons: I wish they had phone support, but their chat support is very good and they will call you for advanced issues. Pros: The WYSIWYG and template builder are very nice. Good analytics. It's priced competitively as well. Cons: Emails sometimes don't look good in every browser. Support is only by email. I wish there was phone support. I've used many email/marketing automation tools and Pinpointe is powerful yet easy to use. Pros: Pinpointe is intuitive to use right out of the box! You don't need hours and hours of training to get started. It's a powerful and easy to use email marketing / marketing automation tool. Cons: The whole database, list and segment thing can be a little confusing and overwhelming. I'd like to see this made easier or more, detailed tutorials on this section of Pinpointe. Overall: We are a small company with limited budget and cannot afford to spend a lot of money. Pinpointe allows us to have a high-end, professional marketing automation tool. Pros: the program is easy to use and is cost effective. I would like to get our open rates and click-through-rates up though. Comments: We use Pinpointe as a first step in communicating with our broad audience. It is our first touch point in our email marketing strategy and an affordable compliment to our marketing automation software. After engaging our subscribers through Pinpointe, we push the most qualified and engaged prospects to our marketing automation platform, which we use for landing pages, lead routing lead scoring. This has not only allowed us to save a tremendous amount of money, but has simplified our email marketing processes. 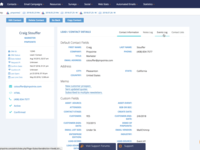 Comments: The Email Marketing Software from Pinpointe offers for B2B users like me more creation and monitoring features than we could find in ordinary B2C email marketing services. One very useful feature is for example the customizable From field. If you create an email marketing campaign with Pinpointe you can import contacts from an Excel, Outlook or CSF file without problems. The software enables you as well to add information about a client as a note. You can choose from different report options, all of them are easy to create. Pros: The software offers great features like surveys, an email previewer, a spam checker, etc. I also like very much Pinpointe's email creator which helps you to prepare full HTML emails. Cons: Social media integration and complaints report is missing. Comments: Pinpointe's email marketing solution is one of the few email vendors in the market that is able to meet our closed-loop marketing objectives. Our marketing department needs to accurately track and analyze our email marketing program efficiency and Pinpointe has advanced targeting and segmentation tools that go beyond the basics of simple email marketing. It's also important for us to be able to send personalized and targeted emails on behalf of our sales and lead development teams. 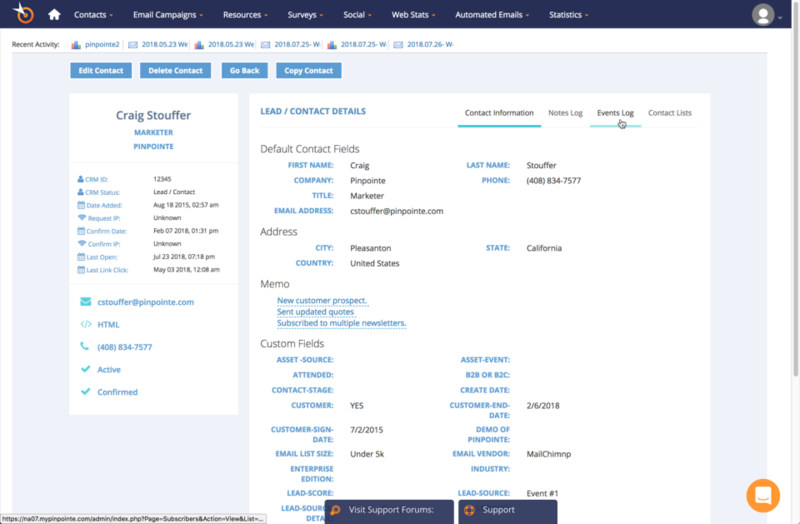 With Pinpointe we can choose, for each contact in our database, whom each email campaign appears to be coming from. Comments: We use Pinpointe as a first step in communicating with our broad audience. It is our first touch point in our email marketing strategy and an affordable compliment to our marketing automation software. After engaging our subscribers through Pinpointe, we push the most qualified and engaged prospects to our marketing automation platform. This has enhanced our email marketing reach, while saving us money. Pinpointe has professional templates that are easily modified to our needs. Pros: Mass mailings are painless and take only minutes to compose. 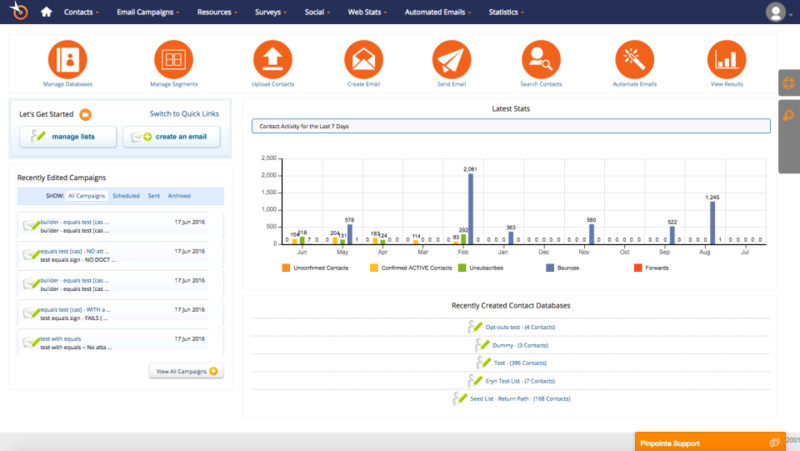 Pinpoint does all the work and manages all the emails, bounces etc. Cons: template codes can be a little bulky when attempting to modify key template layout components not editable in the dashboard. Overall: Ease of use, peace of mind. It makes mass emailing painless and worry free. Thanks Donna! We appreciate your business. Pros: The reponse rate what really good. Also the reports were exactly i am looking for. The editor is also pretty good and easy to use. Cons: There are bugs sometimes now and then and yo reach out to support is a task. Sometimes it takes days to get a fruitful response. Any time i have a question, pinpointe is very quick in solving my problem. Pros: Very quick and inexpensive. Have not had a problem to date with efficiently getting my message across to all leads. Cons: Sometimes a little more technical than what an amateur user may be able to handle. May be beneficial to add some more templates. Pros: Great tool that give you the ability to email a huge number of contact with no extra steps and take out unsubscribed contacts. Cons: Not sure at this point, however more features overall in creating email campaign might be helpful. Comments: As a loyal customer for over 3 years, we continue to use Pinpointe to send out important company announcements and monthly newsletters to our customers and partners. With cool features like their `send on behalf of option and detailed segmentation tools we can highly personalize our email campaigns. Pinpointe is also always making improvements to their system and actually listens to their customer. Their spam checker and email previewer tools have also really helped our deliverability. Comments: I really appreciate Pinpointe's Inbox Preview Tool. With it, I can now see what my email campaign looks like in up to 20 email clients, including mobile and I-Pad. It has a code analyzer that identifies three levels of code errors: Critical, Moderate, and Low. It then offers details on how to update the code to eliminate the errors/problems for the given email client. I also use Pinpointe's spam checker and find it very useful in aiding the reduction of my spam score for every email campaign. Pros: Pinpointe is so easy to use that switching from another provider to Pinpointe was a breeze. It takes only minutes to set up a campaign. Cons: If there is an issue or error with the software it sometimes can take awhile before you get a response. Comments: We have used Pinpointe for over X years to send out important company announcements and monthly newsletters to our customers. They continues to be a great service provider and continuously improve their system. Their spam checker and email previewer tools have really helped our deliverability, and you can't beat their support team. Support is helpful. You typically get a reply within an hour and the support staff is very knowledgeable. Pros: It's fast . Works well with other programs . My admin loves it . He says it's very easy and fast to use. Pros: The product is very intuitive and easy to use. It does not take very long to get a grasp of the product. Cons: Not sure if it was my connection or what but sometimes it seemed to lag a little bit. I also wish there were more templates.